The Oxford English Dictionary doesn’t list any antonyms for “founder.” Merriam-Webster lists the closest terms as“disciple, follower, supporter” or even “student.” The opposite of an “originator” is, apparently, a “copycat” or “mimic.” There is no exact word for someone who takes over for the “inaugurator” of a role or institution. So, what do we call Louis Armstrong? He didn’t just have a “predecessor” in Fletcher Henderson’s band, but effectively replaced one of the founding members of one of the most important bands in jazz history. 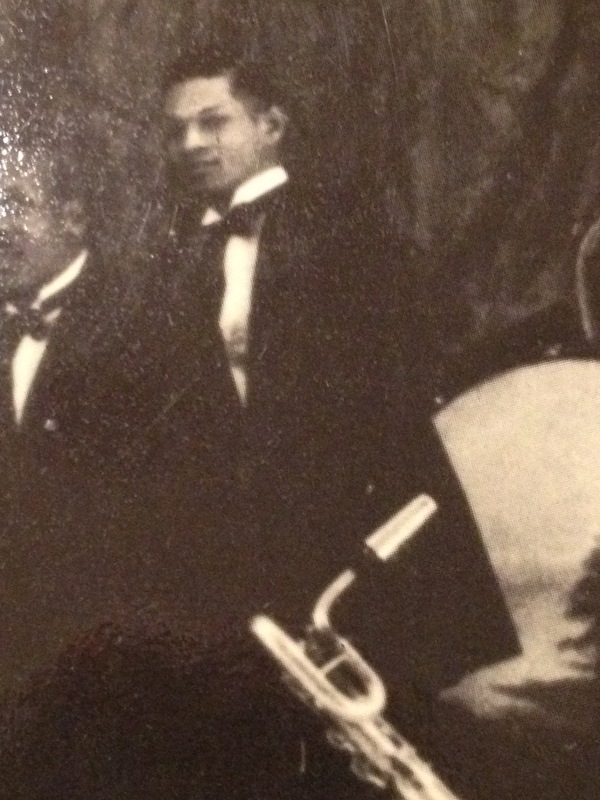 Elmer Chambers wasn’t the first trumpeter to work for Fletcher Henderson, but he was the first trumpeter in Henderson’s band proper. 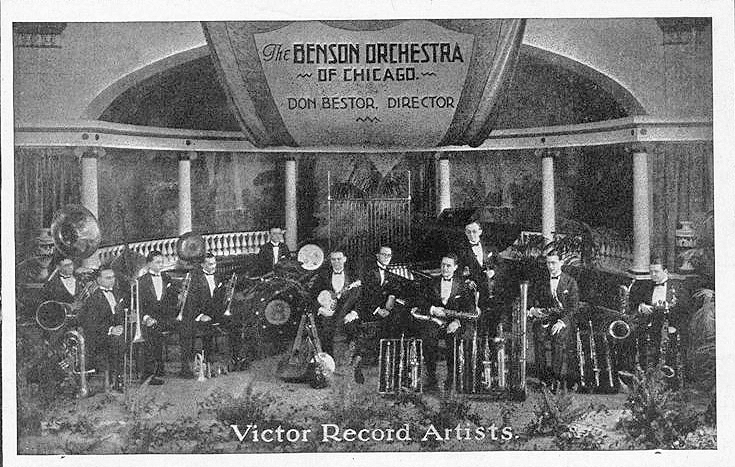 Chambers was on Fletcher Henderson’s first recordings under Henderson’s name with a recognizable Henderson sound, a band that became incredibly popular before Armstrong’s arrival. The choice of Chambers in a loose small group setting, alongside bona fide jazz players such as Buster Bailey, indicates that his peers likely didn’t see him entirely as a straight player or old-hat. Keeping players such as Chambers in the footnotes of jazz history leads to a sort of perennial history of the avant-garde, a narrative that skips from innovator to innovator while leaving a lot of music out of music history. It’s hard to imagine even modern trumpeters being ashamed of turning out a performance like this one. Both men were particularly influenced by New York compatriots Johnny Dunn and Tom Morris, incorporating incisive double-time runs and sly wah-wah vocalisms. 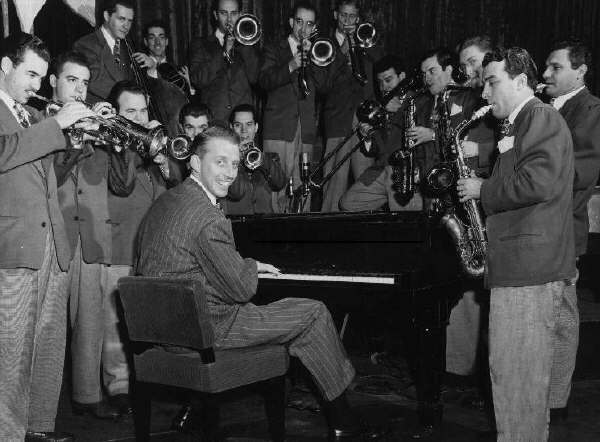 They seem less extroverted in their playing, easily mistaken for a lack of confidence or swing but perhaps just deliberate restraint meant to fit into the larger big band picture. The placement of notes is crisp, eighth-notes are even (but decidedly not stiff) and tone quality is clear, if not brilliant. Armstrong’s phrasing and tone would outmode all of these approaches, and his sheer technical prowess as a single improviser would even make these types of semi-improvised duets obsolete. Chambers and Scott became relics, even though neither man could have been that much older than Armstrong. Armstrong didn’t literally replace Chambers or Scott, but he secured their place in the annals as part of the “pre-Armstrong” Henderson band. The post-Armstrong band became the one referenced in textbooks and lectures. In another one of those fascinating ironies of history, the successor became the legend while the founder marched off into obscurity. Yet Chambers remains the original trumpeter for Fletcher Henderson. It was an important, ultimately thankless job, but he did it quite well, in his own way, and as more than a mere historical curiosity. Bandleader Paul Biese enjoyed critical as well as popular acclaim in Jazz Age Chicago and is now known to only the most diehard period aficionados. Such is life for many popular musicians. Yet Biese’s records provide an insightful, powerfully individual snapshot of the transition from popular music of the teens to jazz’s infiltration into the mainstream during the twenties. Biese’s “Dardanella,” with Vrooman blasting out of the familiar ostinato and the leader booting like he’d be right at home in a rhythm and blues combo thirty years later, makes Ben Selvin’s peppy multi-million selling record of the tune seem unequivocally tame. Regional styles, bouncy but somewhat buttoned-up New York versus hardboiled Chicago, can already be detected at this point. Contemporary music history taxonomy may have a hard time pigeonholing Biese’s music, and it’s easy to simply write it off “not jazz,” but its sheer energy, confidence and personality reveal more than just transitional commercial efforts. This was a band with its own voice, easy to dance to, fascinating to listen to and frustratingly absent from most reissues. It’s not Louis Armstrong altering the course of jazz or Lester Young providing the aesthetic inspiration for its next musical revolution. It is confident, exciting and distinct, which has to count for something in jazz, and makes Whitted worth knowing as more than discographical filler. He was born Benjamin Harrison Whitted on April 20, 1895 in Durham, NC, the son of James A. and Tempie Jordan Whitted. According to one of Ben Whitted’s descendants (via ancestry.com), his father was a Baptist minister, so Whitted may have had first exposure to music in the church. Reverend Whitted was also an author and one of the first African-American mail carriers in the city. His mother was the founder of the missionary society at White Rock Baptist Church in Durham. Ben attended college for one year before enlisting in the army on March 21, 1918. It’s likely that Whitted voluntarily joined, having missed both draft calls a year earlier. As a member of the 92nd Infantry Division “Buffalo Soldiers,” he attained the rank of band sergeant before being discharged less than a year after he joined (and three months before the Treaty of Versailles). By January of 1920, Whitted was living in Atlantic City with his wife Mamie and already working as a professional musician. Sound aside, the context for these two sides is telling. 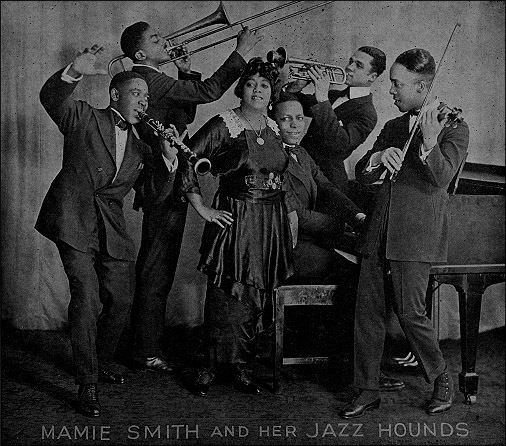 Stafford was the first African American woman to record for Columbia, and her material as well as rag-a-jazz accompaniment indicate that Columbia was trying to compete with Okeh’s Mamie Smith, who had already instituted the blues craze of the twenties with her own recording of “Crazy Blues.” “Royal Garden Blues” would become an instrumental jazz standard yet here receives a vocal treatment hot on the heels of Smith’s own rendition from the same month. Whitted was right there for an important transitional period between ragtime, blues and jazz, and taking part in the early stages of African Americans’ major entry into the recording industry. 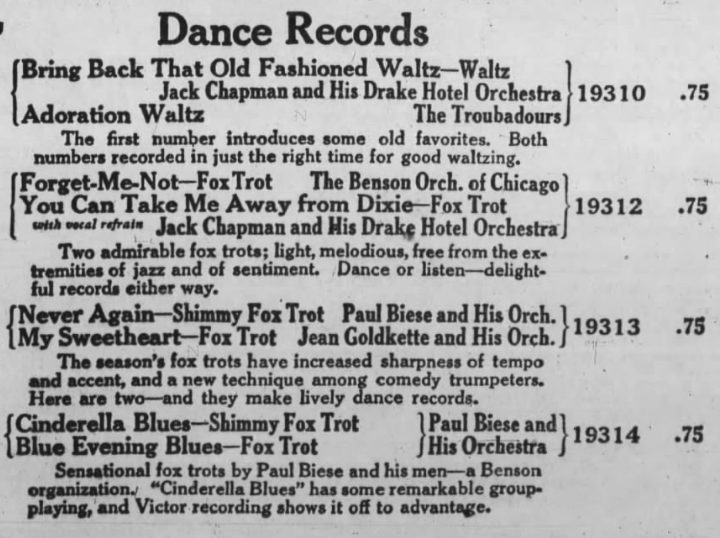 The pianist on this session, Charlie Johnson, would continue to back Stafford during the early twenties while Whitted played at John O’Connor’s club on 135th Street (with young Benny Carter, twelve years Whitted’s junior, occasionally subbing for him to mixed reviews). By the mid-twenties Johnson was leading the house band at nearby Small’s Paradise and Whitted was in place at the gig now responsible for whatever notoriety he still has in jazz history. 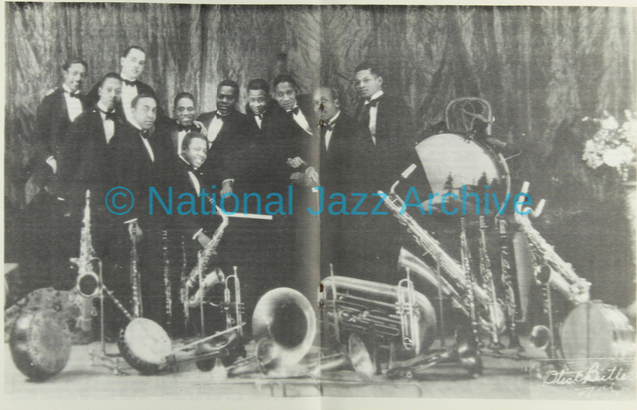 Johnson’s Paradise Orchestra was a rival to Fletcher Henderson’s band at Roseland and already famous by the time Duke Ellington began his residency at The Cotton Club. It might have enjoyed a greater slice of the historical pie had Johnson recorded more or taken the band on tour. The Johnson band left behind just six sessions (including a previously unknown dimestore label session under the name “Jackson and His Souther Syncopators”), which are rarely mentioned in jazz history texts yet well-known and beloved among collectors. The group’s soloists, energy and pre-swing arrangements remain tantalizing hints of what Harlem audiences heard on a nightly basis for over a decade. Far from being a section drone, Whitted filled an important, unique role in one of the most popularly and critically acclaimed bands of its time. Rex Stewart, remembering Whitted perhaps fifty years later, counts him among the “stalwarts” and “formidable exponents of the alto” of the time. Given his position in a popular Harlem band and reputation as a musician, it’s surprisingly that Whitted wasn’t busier in the studios, even with other bands. Maybe he didn’t need the extra work or didn’t have the same hustle as his colleagues. By the mid-twenties he was already taking care of his young daughter Marilyn (born approximately 1922) and perhaps one steady gig was enough. In addition to Whitted’s skills as a reed player, Benny Waters explains that “Whitted special[ized] in working up arrangements based on famous solos from other band’s records, Bix [Beiderbecke]’s “Singing The Blues” for instance, and the band became famous for this sort of thing as well as original material scored by [Waters] and others.” Unfortunately there are no recorded or written remains of Whitted’s charts. Yet Waters sheds further light on what made the Johnson band such a hit in its time as well as what an asset Whitted was to the Johnson band, and potentially to others. By 1930 Whitted was living with his wife and daughters Bernice and Marilyn (born 1928) while sharing an apartment on Convent Avenue in Harlem with his youngest brother James and his wife as well as Benny Waters (the contrast between family man Whitted and libertine Waters must have been worthy of a sitcom). His census records from this time also lists his industry as “night club,” indicating he may have still been part of the band at Small’s, or perhaps that was just one night club job of many. 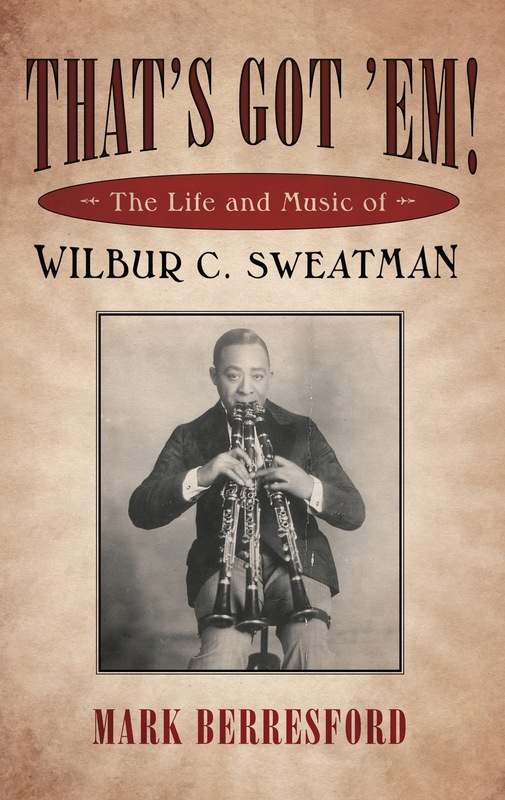 Herman Autrey describes Whitted as “terribly nearsighted and [wearing] such thick glasses that ‘he looked like Cyclops.’” Without a good view of the reeds in this film, the bespectacled alto player might be Whitted and the obbligato behind Nina McKinney’s vocal may belong to Whitted. Except for some especially fleet notes towards its end, the intense clarinet solo on “You Rascal You” also sounds like Whitted, but onscreen it is performed by another reedman, a shorter man without glasses! Adding to the confusion is the fact the few extant pictures of Whitted don’t show him wearing glasses. It’s also a mystery whether Whitted contributed any charts to Blake’s big band, a group overlooked by historians and tacitly dismissed as a commercial endeavor but which produced some interesting transitional music between the Jazz Age and the swing era. The Johnson band would continue on at Small’s Paradise through 1938 but it’s hard to say if or when Whitted quit the band. Autrey says that Fats Waller scouted him, Whitted and bassist Billy Taylor while hearing the band at Small’s in 1934. Benny Waters mentions playing alto alongside Benny Carter with Johnson in 1936. Even accounting for an expanded sax section, most bands at that time carried two altos and two tenors, meaning Whitted may have left the Johnson band by this point. Whitted was obviously an asset as both a section man, a soloist and even an arranger so he must have found work somewhere. 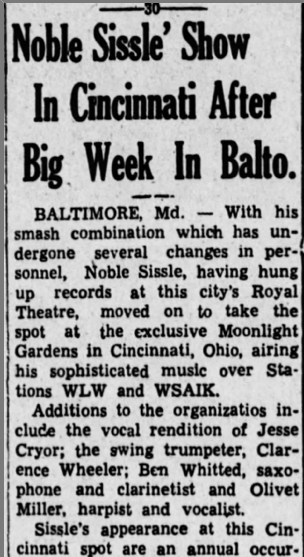 Whitted could be counted on for a hot solo but seems to have calmed down for his next record date, on May 16, 1934 with Fats Waller and His Rhythm, perhaps to his detriment. This was the inaugural date for the small groups that Waller would lead through 1942. 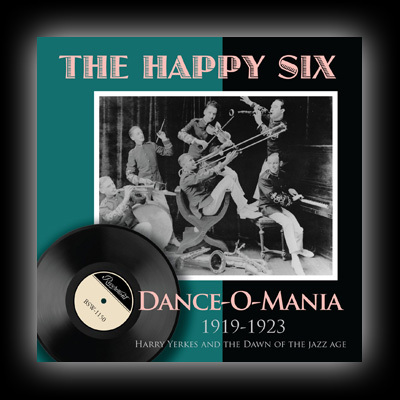 Centering around Waller’s piano, vocals and compositions while giving the rest of the band ample room to shine, they represent some of the loosest, most joyous jazz of the swing era. Too bad Whitted lasted for just this first session. Had Waller kept Whitted on, or had Whitted decided to stay, the rest of Whitted’s story may have been very different. By the mid thirties Whitted was playing with trombonist Danny Logan’s big band, then backing revues and “sweet swing sockeroos” with his own big band by the late thirties (neither band ever recording its work). 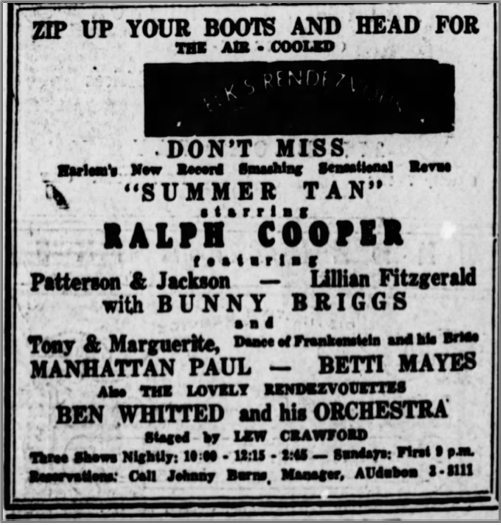 Whitted had already witnessed the ragtime craze, blues craze and dance craze, so he may have been looking to take advantage of the country’s swing craze, this time around as a bandleader. He was already considered a more senior musician by the time he recorded with Waller, so his decision to take on those responsibilities may have also reflected a willingness to challenge himself at a comparatively late stage in his career. The Sissle transcriptions (starting at the top of the above clip and continuing at 16:40 and 26:30) are big, brassy, lush and especially Basie-like on “Boogie Woogie Special,” with little room for soloists and Whitted buried in a tight sax section. Jazz was no longer just the soundtrack for nightclubs but the popular music that servicemen wanted to enjoy abroad. The music has come a long way from the small groups and stomping tentets of the twenties. Whitted saw, heard and played through it all. He passed away on February 2, 1955, a few months short of his sixtieth birthday, without any interviews or memoirs documenting his experiences. It’s fair to say that Whitted neither recorded enough nor lived a colorful enough life to inspire schools of influence or biographies. It’s harsher, not to mention far more limiting, to point out that he was no Jimmie Noone, Johnny Dodds or Frank Teschemacher. It’s probably best to listen to what Whitted played and give him the benefit of the doubt as a skilled, hardworking musician. To paraphrase Allen Lowe, Whitted was a foot soldier rather than a revolutionary, someone on the front lines of American music if not the forefront, getting the job done and claiming their own victories. Fortunately the highest bars are not the only ones worth knowing in history, and certainly not in music. Jazz loves hybrids, though some blends get more sunlight than others. A web search for “raga jazz” turns up pages of results showing the cross-pollination between jazz and Indian classical music. Yet a search for the union of ragtime and jazz known as “rag-a-jazz” just generates more results for raga jazz. Google won’t even ask if you meant rag-a-jazz. It keeps the syncopation and staccato attack of ragtime but has its own popping sense of tension and release, as well as a humor that is not just ragged but downright raucous; just listen to Buster Johnson’s trombone or how clarinetist Gus Mueller slices and slurs into each chorus. How do we describe this music, teasingly similar yet ultimately unlike ragtime or most of the jazz discussed in history books and played in swanky clubs? How would we find other examples of this sound? More than a historical note, the music grouped under the term “rag-a-jazz” (or in search engine syntax, “‘rag-a-jazz’ -raga jazz”) is an example of fusion from decades before anyone plugged into an amplifier. It’s also an example of musical ideas that some would dismiss as wrong turns, many more would forget and others, thankfully, hear as another musical universe. Berresford sums up rag-a-jazz’ musical characteristics as “a strong two-beat feel with predominantly ensemble playing, often heavy drum patterns and frequently fast tempos.” A two-beat feel in jazz is familiar to even occasional attendees at a Dixieland brunch, and contemporary jazz festivalgoers are no strangers to fast tempos. Yet rag-a-jazz’s constant collective interplay can sound strange to contemporary jazz lovers. There is an unspoken, occasionally questioned but nonetheless powerful definition of jazz as ‘the’ idiom of an improvising soloist. In rag-a-jazz and in a pre-Louis Armstrong soundscape more generally, musicians don’t take turns soloing. Other than occasional short breaks, the emphasis is on ensemble interplay, balance and in some cases competition. Decades of smooth, swinging cymbals can also make the syncopated, staccato beats of snares, rims, woodblocks and cowbells sound strange. “March-like” is the description and death sentence often thrown around for this style of drumming. Rag-a-jazz drummers were often influenced by marching band techniques as well as the ragtime drumming inspired by those techniques. All influences apparently not being equal, many jazz writers imply that marches are an inferior inspiration next to Afro-Cuban rhythms, hip-hop or other sources. 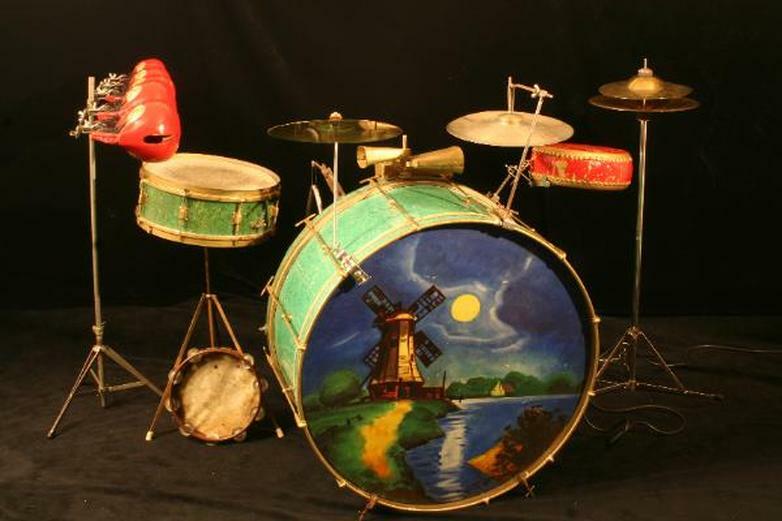 The earliest jazz drummers often devised lines of activity bearing rhythmic and melodic contours that were distinctly different from the contours of lines being contributed by their fellow musicians. The practice of playing an independent line of activity was suppressed in swing [during the thirties]…It enjoyed a resurgence, however, in bop [during the forties]…This independent line of activity…provides a layer of boiling sounds that increases the excitement of the combo performance. The use of this activity continued through the fifties and sixties [and] has been an accepted practice for all modern drummers of the seventies and eighties…The rhythms used by the modern drummers were not those of ragtime, but the spirit in which they played is analogous to the conception shown by the earliest drummers. Jazz scholar Dr. Lewis Porter debunks the myth of early jazz drummers as mere timekeepers while also drawing attention to their intricate fills and contrapuntal playing. Porter describes Sbarbaro “going crazy” in the best sense of the term. Whatever these drummers gained from ragtime or military music, it worked for them, their colleagues and anyone who wanted to listen. In some ways rag-a-jazz’s most radical difference from the ragtime that preceded it and the postwar jazz that is now lingua franca was that listening was a secondary activity. Rag-a-jazz, as well as most prewar styles of jazz, was above all intended for dancing. Ragtime had its own signature lilt but the new “jass” music really moved bodies. Rag-a-jazz musicians (and later on New Orleans via Chicago and big band swing players) had to serve a very practical purpose. Besides the need to get dancers out on the floor, Tyle also points to the material conditions that not only shaped the music but also made it so varied. The size of the venue or a record label’s budget determined band size and repertoire. 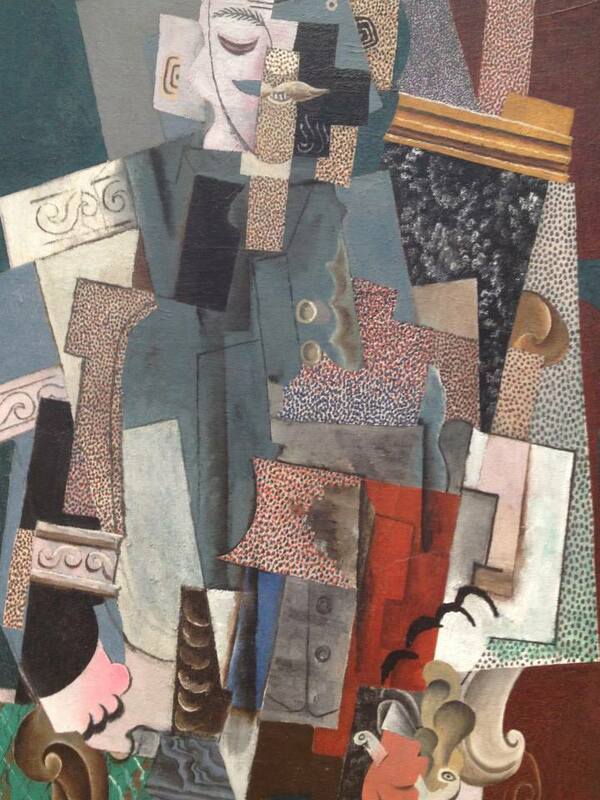 In some ways this practical basis allows for far more variety than the wide-open plains of art music. Whiteway Jazz Band, "Blues My Naughty Sweetie Gives To Me"
How Do You Like Your Eighth Notes? While simultaneously departing from ragtime, part of this music’s unique excitement and sound has to do with the musicians phrasing in eight, a holdover from ragtime’s pianistic basis. Similar to fingers flying across the keyboard, the notes fly out of these groups in a jittery “rat-tat-tat-tat” that is agitatedly exciting and a world a part from jazz’s later, more vocally-conceived lines. 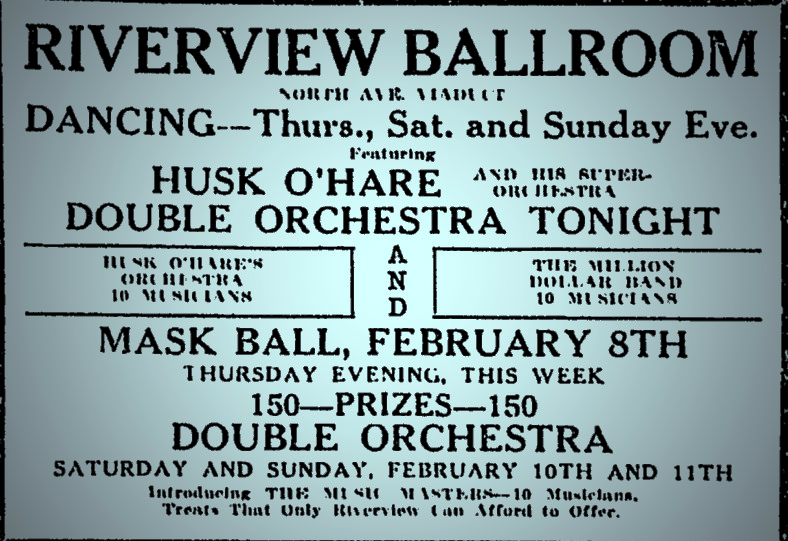 Vince Giordano mentions the ODJB and vaudeville artists of the early twenties as just a few examples of a bass part playing two-to-the-bar, just like in ragtime, while horns phrase in eight like the right hand of a ragtime pianist. Later on in the twenties, some jazz bands would keep the two-beat bass but without the ragtime “tinge” of the earlier bands. 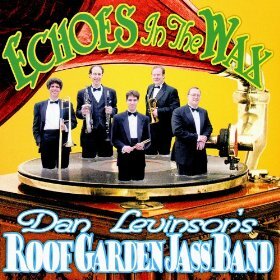 On “Sax-O-Phoney Blues,” the staccato syncopations, chains of eighth notes and reedy arrangement sound very much like orchestral ragtime. The growling trumpet and Smith’s vocal speak to something broader, in terms of phrasing as well as spirit. Levinson emphasizes that the eighth notes in rag-a-jazz “don’t ‘swing’ the way eighth notes do in most form of jazz,” and are instead “played ‘straight’ or ‘even,’ the way eighth notes are played in ragtime, classical music and every other style of music.” Those even eighth notes can make a huge impact on today’s jazz lovers. Decades of uneven eighth notes as well as post-Armstrong phrasing can make this music sound like it’s simply not jazz. Yet taken on its own terms and without comparison to other rhythmic concepts, it is just another approach to the tradition. Jazz has become a very big tent but its own backyard still has much to offer. You’re just getting out of World War I, which was such a horrific event, and I think young people just said, ‘We’re going to have a good time,’ and the music really reflects that. What could be more personal, more joyful and more representative of jazz than a love song to the saxophone? Transitional period, stylistic amalgam, generational signifier, offshoot of ragtime, jazz unlike any before or since and expression of peacetime ecstasy: labels are never airtight but “rag-a-jazz” has come to encompass all of these things. Most musicians and collectors agree that Leonard Kunstadt originated the term in its current usage. Depending on the source, Kunstadt either began using it in the pages of Record Research magazine, which he founded in 1955 and continued to edit and publish, in Jazz: A History of the New York Scene, published in 1962 and coauthored by Kunstadt and Samuel Charters, or at some later point in the seventies. 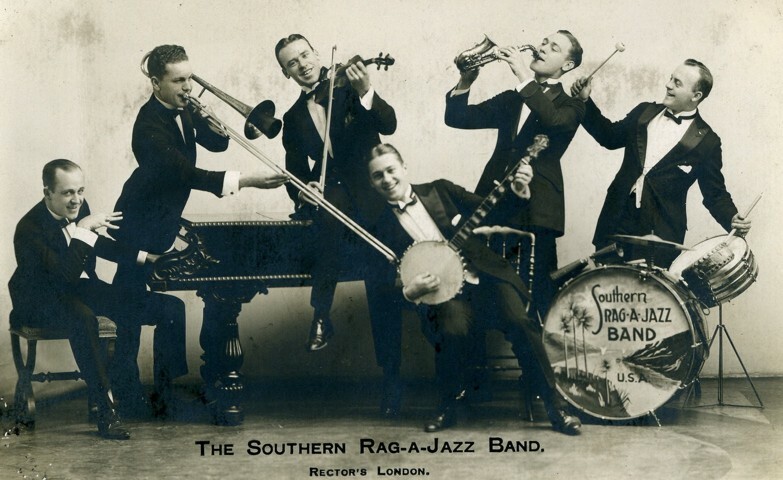 The phrase does appear much earlier in the name Southern Rag-A-Jazz Band. Yet this London-based band (by way of Nebraska) used it for catchy marketing rather than stylistic labeling. Obviously the musicians themselves were just playing music that came naturally to them. It’s hard to imagine that they understood what they were doing as an offshoot or development. At the time and like any time before and since, musicians were simply drawing upon what was around them, what historian Richard Sudhalter called “the rich fermentation of American popular music between 1917 and 1923.” That doesn’t make latter-day commentary and analysis superfluous; in fact, hindsight lets us appreciate and understand the wide variety of music offered by history. iPods can store Phil Napoleon’s trumpet right alongside Miles Davis and Louis Armstrong’s horns. 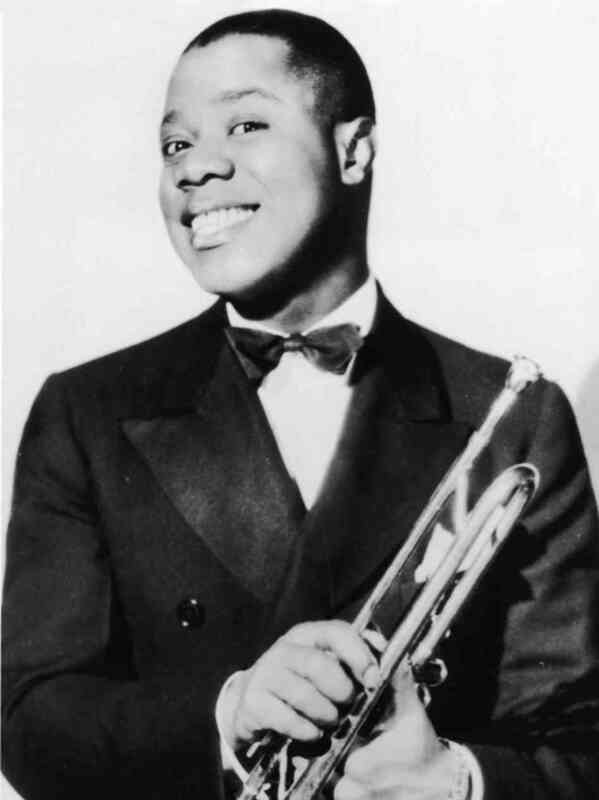 Compared to Louis Armstrong’s “legato” phrasing and the rhythm section’s regular beat, the earlier record is “choppier.” Ory plays his breaks more clipped and cornetist Mutt Carey’s “punchier” attack is reminiscent of Freddie Keppard, one of the few New Orleans trumpets to came out of the older, ragtime based tradition. The crush roll of the Chicago drummers [such as George Wettling] was unheard of back East, where they were still playing oom-pah and ricky-tick, breaking up the rhythm into choppy syncopations instead of keeping a steady beat you could play against…That nervous, ragged, ricky-tick beat of the white dance bands of the twenties was one of the factors that had been at the bottom of my confusion when I listened to my records back home in Boston, trying so desperately to unravel the puzzle of jazz. None of the white musicians I heard on them could keep time. None of the early white popular bands had really understood the beat yet…of playing the melody simply and purely without all the little flutings and corny licks that were regarded as “hot” in those days. “Oom-pah, ricky-tick, choppy syncopations, nervous” and above all “ragged” are just loaded descriptions for the music that preceded the Oliver/Armstrong hegemony. For players like Kaminsky and later historians, Armstrong and the Chicago sound were not just another way to play jazz; they were the only way to play. The tendency to dismiss so much pre-war and especially pre-Armstrong jazz hasn’t helped the historical record or modern outlets of this style. To some commentators, the term “pre-Armstrong jazz” itself is a contradiction. It could just be a matter of age: raga jazz, for example, surfaced during the sixties, while rag-a-jazz had its heyday in the late teens and early twenties (never mind that ragtime itself is a baby compared to the raga tradition). Gabor Szabo is much closer than Earl Fuller in terms of stylistic generations as well as human ones. 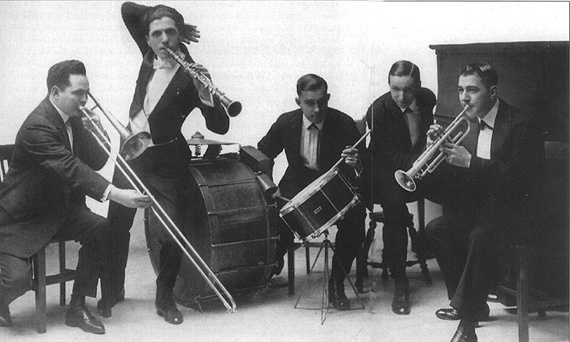 Earl Fuller’s Famous Jazz Band, 1917: Harry Raderman, Ted Lewis, John Lucas, Earl Fuller, Walter Kahn. Like any musical era, these years included their share of “clatter” but they also featured musicians drawing upon a variety of influences, listening to and absorbing a range of styles and making music that doesn’t sound like anything else. It also continues to enthrall today’s musicians and audiences. Rag-a-jazz, and its distance from even the towering presence of Louis Armstrong as well as more modern styles of jazz, may even seem like a breath of fresh air. Trumpeter Jon-Erik Kellso and trombonist David Sager, two contemporary musicians who play rag-a-jazz as well as many other genres, both cite its unique challenges. Kellso says that “all that ensemble blowing, with little or no rest can be painful” but also explains, with a chuckle, that it “adds character.” Sager describes rag-a-jazz as “some of the most technically demanding stuff [he has] ever attempted.” So much for the assumption that jazz reached its technical zenith with bop. Just imagine the liveliness of all these guys who were playing a kind of music nobody had ever heard before. We hear the music today, and might sometimes think it’s rather tame in comparison to some of what we’ve heard since. But think about what people were used to listening to at that time: here comes these guys from New Orleans by way of Chicago, and just blew the roof off. 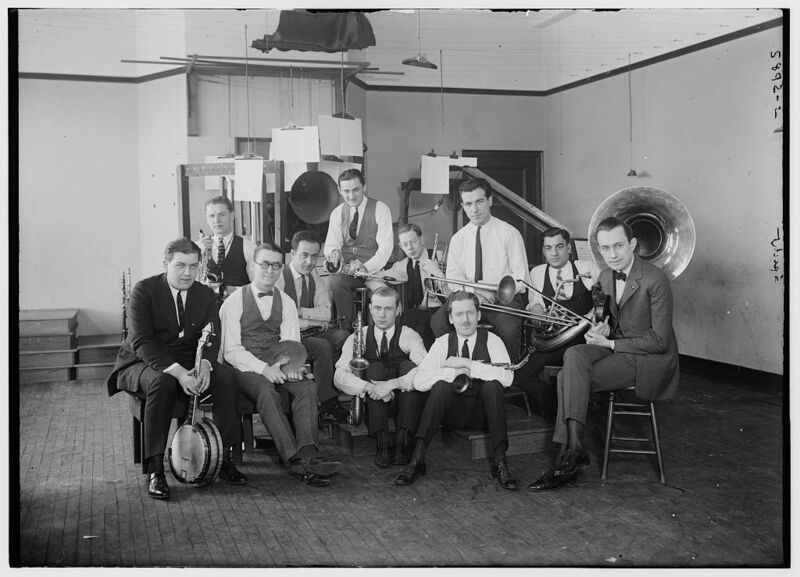 Wilbur Sweatman and His Acme Syncopators, 1923: Maceo Jefferson, Ralph Esudero, Duke Ellington, Wilbur Sweatman, Flo Dade, Sonny Greer, Ian Anderson, Otto Hardwick. “Blowing the roof off” will never be a historical concept, and people are obviously playing and listening to this music. Is it even fair to call “rag-a-jazz” a historical period when it continues to make these kinds of sounds? 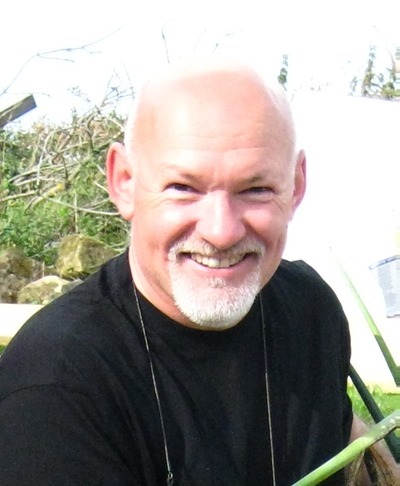 From the writer: I would like to personally thank Nick Ball, Mark Berresford, Vince Giordano, Dan Levinson, Hal Smith, Michael Steinman, Matt Tolentino and Chris Tyle for taking the time to share their insights about this topic with me. In the most literal sense of this often-used expression, the above piece would simply not have been possible without their help. I also invite readers to please share their comments, insights, disagreements and suggestions for further reading about this topic. This piece is intended as an introduction to anyone who is interested in rag-a-jazz, so if you found it useful, I also ask that you please share this article and get the word out about this music and its advocates. Thank you! One of the earliest, and still funniest, Saturday Night Live skits I ever saw features host and musical guest Ray Charles playing himself, alongside several members of the cast playing a popular young vocal group. As the “Young Caucasians, ” they give Charles’ soul hit “What’d I Say” a treatment more Branson, Missouri than Apollo Theater. Charles’ soulful voice is replaced with a bright-eyed, bushy-tailed, irredeemably hokey chorus of teenagers, his gritty arrangement polished down to a cheery, utterly sexless sheen. The “white version” comes up as a joke, intentional or otherwise, throughout the history of American popular culture. Another personal favorite is a scene from the 2002 film Undercover Brother, where the titular character asks about Michael Bolton’s cover of Sisqo’s “Thong Song.” There are many more to choose from out there. Critics as well as comedians like to include white versions in their work. For critics, the white version is an analytical tool, a deviation falling short of some non-white normative case. Critics’ white versions are usually subtler as well as less amusing, and it’s harder to select a favorite, but they still keep coming up with them. Whether employed as a punch line or a critical idea, white versions tend to be deemed stiff and uptight, lacking the artistic sincerity and raw expressiveness of earlier, more “authentic” versions. As those corny Young Caucasians demonstrate, white versions are also sanitized for popular i.e. majority (i.e. white) consumption. That digestibility also coincides with the idea that the white version are also the more commercially successful (and ergo, artistically compromised) version. The Benson Orchestra’s crisp articulation and bright sound are very different from any other “Wolverine Blues.” For some listeners, this is probably the “white(st) version” of the tune. 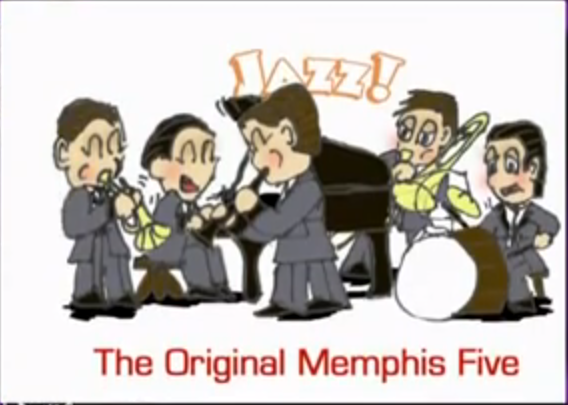 Personally I just hear a band more rooted in ragtime than jazz, approaching a now familiar composition on their terms. On Henderson’s recording, the studio has a “hard walls” ambience and everyone seems to be in the middle distance, so no voices predominate. What you hear is a performance, not so much an arrangement. With Firman you actually hear the arrangement and discern the parts. This is a published stock by the dean of stock arrangers, Frank Skinner, who squared a few corners away and added a couple of “hot-cha” and “vo-de-o-do” figures but otherwise let Henderson’s work stand proud. While clearly digging into Henderson’s tune, the Firman band also pushes the beat slightly more than Henderson’s orchestra while relying less on improvisation. They still provide an energetic, unique touch to a tune heard in countless jazz history courses and boxed sets. Yet the juxtaposition of Firman’s tenser rhythm and written parts with Henderson’s laidback beat and soloists is probably more than enough to peg the Firman record as just another white version. The Red Heads, "Heebies Jeebies"
Nichols’ music doesn’t lack anything; it just has different musical priorities but remains distinct and very personal. Even without altering the course of jazz history, that has to count for something in jazz. Unfortunately without a healthy dose of the blues, a loose rhythm, vocal inflections and (perhaps most damning) a corresponding narrative about the artist’s poverty, recordings by Nichols and others like him, when mentioned at all, are often relegated to clever knockoffs. Seventy-six years later and beyond the Lindy-hoppers’ concerns, can we detect diversity rather than victory, musical priorities rather than stylistic purity? 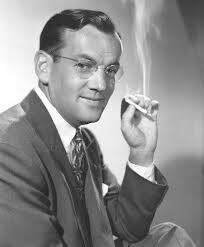 Can we forgive Benny Goodman for making so much money? As big as the jazz tent has become, jazz’s white album may never be more than a footnote. Ultimately the point isn’t whether Goodman, Nichols, Firman, the Benson Orchestra or for that matter Armstrong, Henderson, Morton or any band are playing the way we expect or if they’re even playing jazz; it’s whether the music has something to say on its own terms. If not, is the music there for productive historical and stylistic comparison, or narrow artistic teleology? I still laugh at the Ray Charles skit but I now know that there’s a grain of truth to it that just isn’t funny. The world isn’t a comedy skit. Things are much more complicated, even if they do often come down to black and white, and more than music.